Leading off today: Lather. Rinse. Repeat. And then repeat a whole lot more. 125-47 victory over Springville in boys swimming clinched their 50th consecutive ECIC division championship. Charlie Morris set an East Aurora record in the 100-yard butterfly. The streak began during the 1969-70 season under Tom Fahrenholtz, who coached East Aurora for 37 seasons beginning in 1967. Christopher Musshafen took over four seasons ago and has not lost a dual meet yet. Basketball fireworks: Gabriel Franklin finished with 18 points, 11 rebounds and four assists as Hunter College edged Seward Park 55-50 in PSAL boys action. Christopher Ma added 13 points and Luca Wernick had 10 rebounds for Hunter College, which trailed 38-36 entering the fourth quarter. 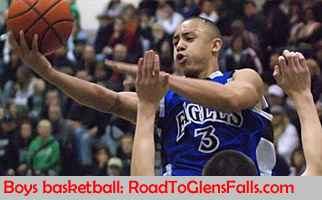 • Mount St. Michael scored a 64-61 victory over Cardinal Hayes, ranked seventh in Class AA. 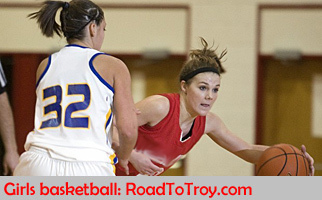 Mount St. Michael entered the contest with a 7-7 record and lost to Hayes 76-51 in their first meeting Dec. 11. Mount St. Michael led 50-37 after three quarters. • No. 1 Prattsburgh edged No. 2 Avoca 61-60 in a Steuben County contest between state-ranked Class D teams. Avoca had been ranked No. 1 until a weekend loss to Belfast. Mason Putnam scored seven of his team-high 24 points in the fourth quarter as Prattsburgh overcame a 47-43 deficit. LaDre Stanford led Avoca with 26 points and 11 rebounds. Girls basketball: Highland senior Bri Rozzi became the school's career scoring leader, hitting for 26 during a win over Marlboro. Lisa Pritzlaff, the previous record holder, was in attendance to see Rozzi take over the record with 1,616 points. National award: Tully's Jim Paccia has been selected the 2018 NFHS national boys track and field coach of the year. Paccia, a technology teacher, has been coaching at the Section 3 school for 36 years. He was widely recognized for the development of Lopez Lomong, who represented the United States in the Beijing and London Olympics. Paccia's award was one of 23 for coaches across the country announced by the National Federation of State High School Associations Coaches Association as part of an annual program begun in 1982.